A great place to livesubmitted by Richard B. - Dec 05, 2017 |Recommended: YesJefferson at Westtown is a very nice place to live. It is a quiet neighborhood bordering a woodland area. The apartments are clean, well lit and safe. The grounds are well maintained and landscaping attractive. The new Staff are very professional and are working hard to improve clients rental experience. The new maintenance team are top notch and respond promptly to work orders, even on the weekend. 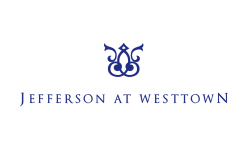 Overall, we are very pleased with our apartment at Jefferson at Westtown and are very please with Staff improvements. Great place to livesubmitted by Rachel S. - Apr 17, 2016 |Recommended: YesIt's really nice, especially for what you're paying for. It is well worth it.